Here is a short article about which copy program can copy it’s self. I’ve said it before I always judge copy programs this way BITD. I figure if the program can not even copy it’s self, then it can’t be that good. This entry was posted in Articles & Interviews by Steverd. Bookmark the permalink. 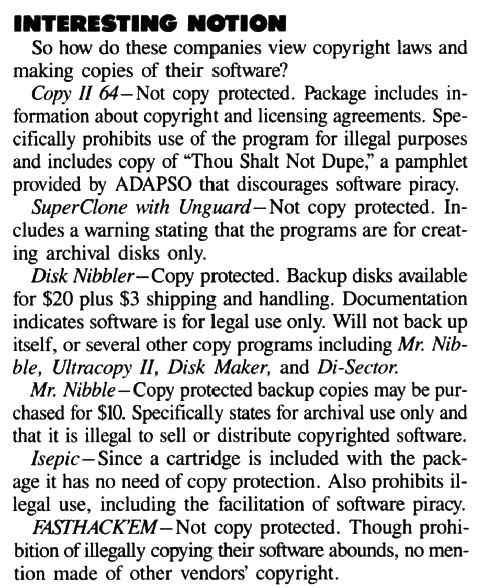 Di Sector, notably, gave you a “master disk” that could write three protected copies of the copy program. 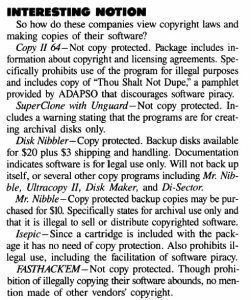 These copies would not copy themselves, nor the master disk.